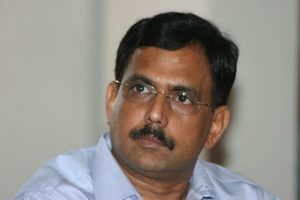 Rama Krishna Tummala is the Founder of DOCTUS group of companies. He has a vast experience of management and execution. He is also specialized in People management,execution, startups, company turnaround, process re- engineering, operation optimization, and cost modelling. He was the Executive director of NATCO Pharma Ltd, where he took the company from a mere 50 people to 2500 people and to a revenue of $60,000 to $75,000,000 per annum. He was also involved in the overall management as part of the charter team. In 1998, he promoted WORLDTECH, which was a Healthcare BPO offering Medical Documentation and Allied Services. At WORLDTECH, they developed software products like EMR and Medical Document Management applications. WORLDTECH employed around 500 people at its facilities at Hyderabad and Kolkata. WORLDTECH was later acquired by US based Corporation Imedx in 2009. In 2007,he promoted the DOCTUS group of companies with a business focus of Claims processing, Adjudication, Software development (TechO2), Medical Coding and Billing, Indexing, Data mining, EMR management, Medical record summarization, Medical records review and Medical Transcription. Now currently, there are about 700 employees working in the Hyderabad campus. The DOCTUS group also started a Rural BPO recently in the village Kavur, near Guntur District, where he was born and educated. It is currently functioning with 200+ people now. 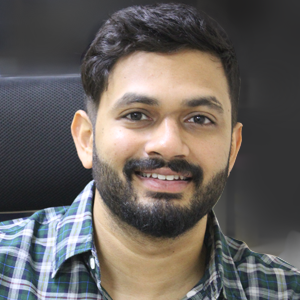 Venkat Tummala is the Director of Doctus Software Solutions Private Limited. He graduated from Carnegie Mellon University with a Master’s degree in Electrical and Computer Engineering program, which is ranked top 5 in the world and went on to work in Cadence Design Systems as a Product Manager for three years. Later, he finished his MBA from the prestigious Indian School of Business (ISB) and has been simultaneously working with Doctus Group of Companies. He has been very instrumental in the rapid expansion of Doctus group. He has been an entrepreneur for the last three years opening new divisions under the Doctus umbrella, but has also actively helped in business development and onboarding new clients to the DOCTUS group for the existing divisions. His ability to wear multiple hats under management, operations, finance, HR, and the investment arm of Doctus helped the growth of Doctus group considerably. His keenness to explore and adopt the latest technologies, facilitated Doctus to become highly efficient and get on par with the processes similar to the Fortune 500 companies in India. The Doctus group’s journey began more than 15 years ago when a leading entrepreneur in pharmaceuticals decided to partner with a few US physicians to set up one of the first BPOs in the region. Servicing a range of outsourced processes across clinical data management, healthcare documentation, digital publishing, and IT development, the Doctus group quickly went on to emerge as a sector leader. Within a few years, its core business of healthcare documentation and IT development was catering to over a thousand physician practices, clinics, and hospitals across the United States with the help of a team of nearly 600 highly skilled professionals across multiple domains. The offerings included products and applications for document and enterprise management, services for medical records, billing and back office operations, and solutions for integrating disparate operational components and upgrading them to meet mandatory quality standards. To date, the operational process and philosophy of the Doctus group’s clinical data management and healthcare documentation division remains the gold standard for the offshore industry. The two pillars of the Doctus group are its people and its processes. The Doctus group was one of the first in its segment to offer world class training to its team, and the first to introduce mandatory ongoing upskilling programs. The training programs of the Doctus group were not only emulated by competitors, but also successfully franchised out to leading universities and educational institutions. Doctus went on to become the knowledge partner for the State Government for several of its official vocational training programs. The Doctus group was also the first to introduce the process oriented approach to customer satisfaction. Treating all stakeholders in the process as clients, internal or external, the Doctus group integrated real time metrics for workflow management, quality control, and reward management. At a time when the global healthcare documentation industry was still undecided about quality measurement parameters, the Doctus group evolved its own quality standards based on the Association for Healthcare Documentation Integrity (AHDI) guidelines and offered its clients real time quality audits on every single document processed. This same data was analyzed and used to improve internal mechanisms and assure quicker and better services to all clients. The Doctus group has been an innovator all through. It embraced security and confidentiality standards early on and insisted that all partners and associates adhere to it. It wrote the handbook for IT infrastructure management and pioneered the concept of remote infrastructure management, initially for its internal customers and associates and later as a service to its clients. It formed an industry body to share and disseminate industry best practices in order to improve the global perception of quality of services by offshore providers. It introduced the concept of telecommuting and flexible work hours with the help of robust operational quality processes. It practiced and encouraged the practice of free sharing of know-how so that unhealthy practices could be eliminated and the overall standard of the industry could be raised. The Doctus group also pioneered the concept of remotely administered co-working spaces as a disaster recovery and cost modelling measure. This was later established as the crux of its corporate social responsibility program. In time, the Doctus group added enterprise data management services, insurance claims processing, healthcare revenue cycle management, medical records summarization, IT infrastructure management, remote infrastructure management, and physicians back office management to its existing bouquet of services. The Doctus team has consistently built a reputation for high quality orientation, timely deliveries and innovative solutions in every field it has entered. In many cases, business models, processes and systems have had to be created simply because no one had thought of doing that earlier. Constantly on the lookout for new and innovative opportunities, The Doctus group has now ventured into aerial measurements services for outdoor construction projects using sophisticated aerial survey algorithms. Today the Doctus group, made up of Doctus Software Solutions, Doctus BPO, Tech O2, Max Medical Systems and Doctus IT Support Services, is the segment leader in medical records summarization, insurance claims processing, data management, IT Infrastructure as a Service (IaaS) and Healthcare Revenue Cycle Management. Currently processing over 30 million transactions per year across a wide range of services, the Doctus group continues to live out its commitment to people and process excellence.